Moscow Regional Research and Clinical Institute (MONIKI). 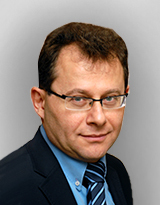 Amkhadova Malkan Abdrashidovna – MD, Head of the Department of Surgical Dentistry and Implantology. 61/2 Shchepkina Str., 129110 Moscow. Batler Evgenii Andreevich – PhD, Assistant at the Department of Surgical Dentistry and Implantology. Ilyuhin Denis Gennad΄evich – Leading Specialist at the Department of Methodological Support of Standardization. 10-5 Khokhlovskii pereulok , Moscow 109028. National Research University “Higher School of Economics” . Petrova Irina Anatol΄evna – PhD, Associate Professor, Department of Health Management and Economics. 20 Myasnickaya Str., Moscow 101000. 1. Issledovanie rynka kommercheskoj mediciny v Rossii za 2016 god – pervuyu polovinu 2017 goda [Market research of commercial medicine in Russia for 2016 – the first half of 2017 (in Russian)]. ernst & Young. [electronic resource] URL: https://www.ey.com/Publication vwLUAssets/ey-health-care-report-2017-rus/%24FILE/ey-health-carereport-2017-rus.pdf/. Accessed: 23.04.2018. 2. Paid medical services. Market situation [Platnye medicinskie uslugi. Rynochnyj rasklad (in Russian)]. RBk+. 2016; September. [electronic resource] URL: www.rbcplus.ru/pdf/57b8181e7a8aa9359d031a10/rbcplus_None_1.pdf. Accessed: 23.04.18. 3. On the work of the CPS with the consumers [O rabote Rospotrebnadzora s obrashcheniyami potrebitelej (in Russian)]. [electronic resource] URL: http://www.rospotrebnadzor.ru/about/info/news/news_details.php?ELEMENT_ID=9789. Accessed: 23.04.18. 6. Nurlybaev A. M. Zhurnal mezhdunarodnyh issledovanij razvitiya (MiR) (in Russian). 2014; 1: 20-28. 7. Salygina E. S. Legal support of private medical organization. Educational and practical guide [Yuridicheskoe soprovozhdenie deyatel’nosti chastnoj medicinskoj organizacii, Uchebno-prakticheskoe posobie (in Russian)]. Moscow 2013; 192 s.
8. Russian Constitution [konstituciya Rossijskoj Federacii (in Russian)]. 9. Federal law of the Russian Federation No. 323 of 21.11.11 “ on the basis of health protection of citizens in the Russian Federation» [Federal’nyj zakon RF №323 ot 21.11.11 «Ob osnovah ohrany zdorov’ya grazhdan v Rossijskoj Federacii» (in Russian)]. 10. Lazareva M. L., Fedyaev D. V., Mel’nikova L. S. Medicinskie tekhnologii. Ocenka i vybor (in Russian). 2017; 3 (29): 31-40. 11. Federal law of the Russian Federation No. 326 of 24.10.10 “ on compulsory health insurance in the Russian Federation» [Federal’nyj zakon RF №326 ot 24.10.10 «Ob obyazatel’nom medicinskom strahovanii v Rossijskoj Federacii» (in Russian)]. 12. Civil Code of the Russian Federation [Grazhdanskij kodeks Rossijskoj Federacii (in Russian)]. 13. Resolution of the Government of the Russian Federation of 04.10.2012 № 1006 “On approval of the rules for the provision of medical services by medical organizations” [Postanovlenie Pravitel’stva RF ot 04.10.2012 №1006 «Ob utverzhdenii Pravil predostavleniya medicinskimi organizaciyami platnyh medicinskih uslug» (in Russian)]. 14. Federal Law of the Russian Federation No. 2300-1 of 07.02.1992 “On Protection of Consumer Rights” [Federal’nyj zakon RF ot 07.02.1992 №2300-1 «O zashchite prav potrebitelej» (in Russian)]. 16. Resolution of the Government of the Russian Federation of 30.06.2004 № 323 On approval of the Regulation on the Federal Service for Supervision in Health Care (as amended on March 21, 2017) [Postanovlenie Pravitel’stva RF ot 30.06.2004 № 323 Ob utverzhdenii Polozheniya o Federal’noj sluzhbe po nadzoru v sfere zdravoohraneniya (red. ot 21.03.2017) (in Russian)].